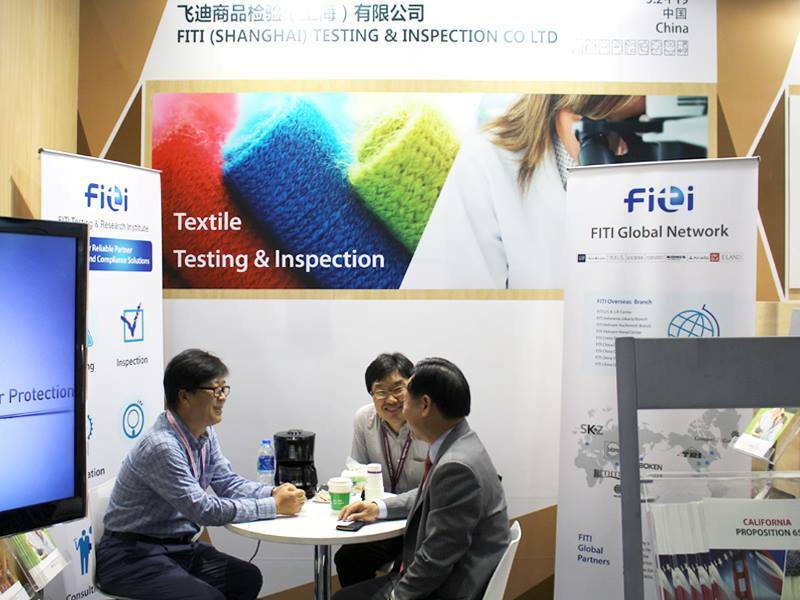 On October 2015, FITI Testing & Research Institute made appearance at Shanghai Intertextile, one of the world's biggest fairs in textile industry. Intertextile Shanghai Apparel Fabrics is a comprehensive platform to showcase supreme apparel fabrics and accessories. It is currently one of the biggest and most comprehensive apparel fabric and accessories exhibitions in the world. Over 4,600 suppliers from 29 countries and regions took part in the biggest ever autumn Edition from 13-15 October at the NECC(National Exhibition and Convention Center), Shanghai. As a testing certification institute, FITI Testing & Research Institute installed an on-site booth to provide consultation to both attendees and exhibitors from all over the world about quality control/assurance and certification of manufactured goods through testing/inspection. Especially, booth at All about Sustainability Zone, the main port of call for everyone interested in the subject of corporate social sustainability and textiles, drew great attentions from attendees. FITI Testing & Research Institute was the only institute from Korea participating at fair, promoting its services to crowds. Moreover, this participation will make its way to quality services through understanding of overall market trends. FITI Testing & Research Institute will consistently participate at major international fairs in order to keep current with latest market trend and to become a globally-recognized testing & certification institute. COPYRIGHT©2014 fiti. ALL RIGHTS RESERVED.